In an all too common refrain, 2017 claims the dubious record of the most breaches and most records compromised in a year. RICHMOND, VA, February 6, 2018 — Risk Based Security today announced the release of the 2017 Data Breach QuickView Report, showing that once again, the record has been broken for both the most breaches and the most data compromised in a year. There were 5,207 breaches recorded last year, surpassing 2015’s previous high mark by nearly 20%. The number of records compromised also surpassed all other years with over 7.8 billion records exposed, a 24.2% increase over 2016’s previous high of 6.3 billion. In addition to the number of breaches and amount of data lost, 2017 stood out for another reason. For the past eight years, hacking has exposed more records than any other breach type. 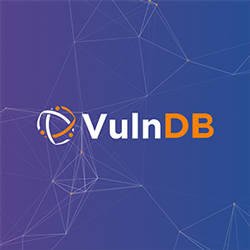 In 2017, breach type Web – which is largely comprised of accidentally exposing sensitive data to the Internet – took over the top spot compromising 68.8% or 5.4 billion records. Hacking still remained the leading breach type, account for 55% of reported incidents, but its impact on records exposed fell to the number two spot, with 2.3 billion records compromised. For the first time since 2008, inadvertent data exposure and other data mishandling errors caused more data loss than malicious intrusion into networks. A prime example of this is the August breach impacting 11,887 Aetna members. An unnamed mail processing vendor working for Aetna sent letters to HIV patients, informing them of changes to the prescription fulfillment process. Unfortunately the lettershop used envelopes with an especially large glassine window, exposing highly sensitive HIV status information. The breach was brought to light by a letter recipient – triggering both civil lawsuits and an investigation by the New York Attorney General and ending with Aetna agreeing to pay $18.3 million in order to settle the various proceedings. While this is an extreme example, 2017 saw many other situations where customers, clients and unrelated third parties discovered the problem and chose to take action. Comparing the number of breaches discovered internally to the number of breaches found by outsiders highlights one dynamic behind the trend. Of the 3,904 breaches with a confirmed discovery method, only 728 or 18.6%, were discovered by the organization responsible for protecting the data. The remaining 3,176 were found by law enforcement, external fraud detection or monitoring, customers, or unrelated parties including disclosure by the malicious actors themselves. While there is not a direct correlation between discovery method and and interest in publicizing breach activity, this data does show that the majority of breaches still go undetected by the compromised organization. Risk Based Security has been capturing and aggregating data breach events for well over a decade. The resulting wealth of breach data coupled with actionable security ratings for organizations has made Risk Based Security a leader in vendor risk management, cyber insurance and risk modeling. For more information, contact Risk Based Security at 855-RBS- RISK or visit www.riskbasedsecurity.com. The Data Breach QuickView report is possible through the research conducted by Risk Based Security. It is designed to provide an executive level summary of the key findings from RBS’ analysis of breach activity disclosed in 2017. Contact Risk Based Security for any specific analysis of the 2017 data breaches of specific interest to your organization. 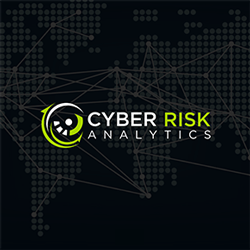 Cyber Risk Analytics (CRA) provides actionable organization security risk ratings and data breach intelligence. 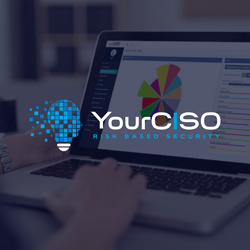 Our threat intelligence empowers organizations to reduce exposure to the threats most likely to impact them and their vendor base. Our PreBreach security risk ratings, the result of a deep-view into the metrics driving cyber exposures, are used to better understand the digital hygiene of an organization and the likelihood of a future data breach. The integration of PreBreach ratings into security processes, vendor management programs, cyber insurance processes and risk management tools allows organizations to avoid costly risk assessments, while enabling businesses to understand its risk posture, act quickly and appropriately to proactively protect its most critical information assets. Risk Placement Services, Inc. (RPS), one of the nation’s largest intermediaries, offers valuable solutions in wholesale brokerage, binding authority, programs and standard lines. Headquartered in Rolling Meadows, Illinois, RPS has more than 80 branch office and satellite locations, creating a coast-to-coast network of offices with retailer needs in mind. RPS places well over $3.1 billion in premium annually, demonstrating the company’s strength and market presence. RPS leverages local knowledge, regional expertise and national relationships to deliver winning proposals to each retail broker partner and provide knowledge-based coverage solutions for each situation. The RPS Executive Lines division specializes in protecting individuals and their companies against a wide range of executive risks and other professional liabilities. 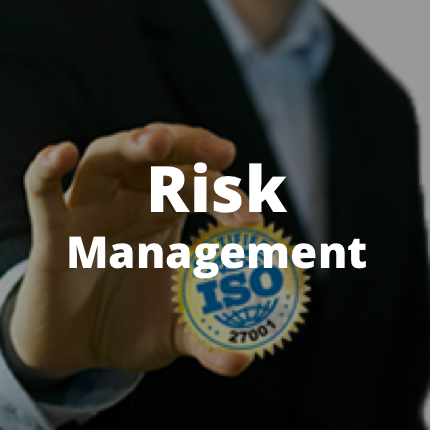 Market-leading specialists in public, private, and nonprofit Directors & Officers (D&O), Errors & Omissions (E&O), Fiduciary, Crime, and Kidnap & Ransom insurance products, RPS Executive Lines provides total management insurance solutions via 100 different insurance markets. Additionally, they help clients pinpoint hidden exposures to loss and fortify them against vulnerabilities, ultimately improving their risk profile.